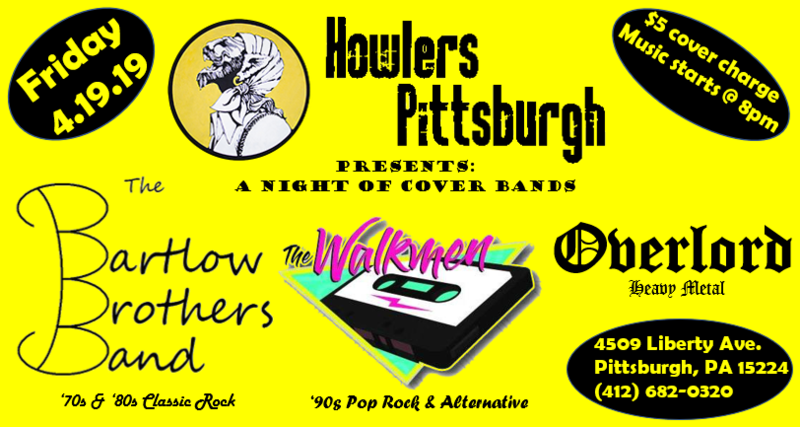 When: Fri., April 19, 8-11:45 p.m.
Howlers Pittsburgh presents a special night of cover bands, as The Bartlow Bros. 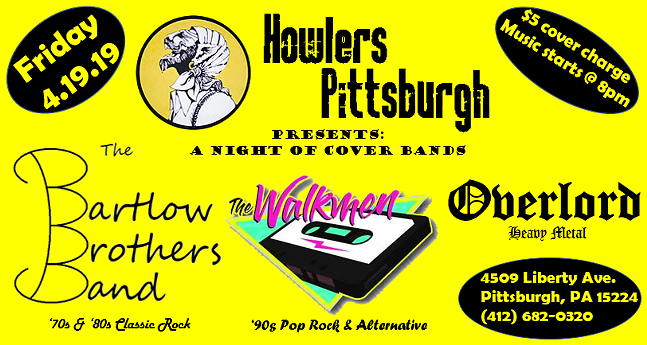 Band, The Walkmen, and Overlord take over the historic neighborhood of Bloomfield in Pittsburgh. The Bartlow Bros. Band brings their signature style of '70s and '80s classic rock, The Walkmen will give you a nostalgia trip with your favorite '90s songs, and Overlord will melt your face with their awesome brand of metal. Music starts at 8pm, $5 cover. Don't miss it!